What could the Internet do to better engage with people searching for the meaning of Christmas? The world’s population and the volume of Internet content will continue to grow, and perhaps focused websites (or web pages) on a specific topic like Christmas could be very useful and relevant for a lot of people. And with a wider selection of domain names introduced by the new gTLD program, the Internet could have an increasing number of single-focus websites related to the specific keywords found in the domain name. 2. The popular Bible App has 100s of reading plans and 22 reading plans in the category of Christmas and Advent (at the time of this post). Several of their daily reading plans are short enough for this final week leading up to Christmas, including It’s Christmas - Devotions from Mandisa, The Story of Christmas, Rhythm of Christmas, and The First Christmas Gift (Bible App for Kids). 4. Back to the Bible’s presentation of The Twelve Voices of Christmas is a unique dramatized audio experiences with twelve different perspectives of the story of Christ’s coming, your understanding of Christmas will be enriched. With new .BIBLE domain names coming to the Internet, which of these examples above would be an excellent use of a web address like CHRISTMAS.BIBLE —hypothetically speaking? What do you think? Merry Christmas! 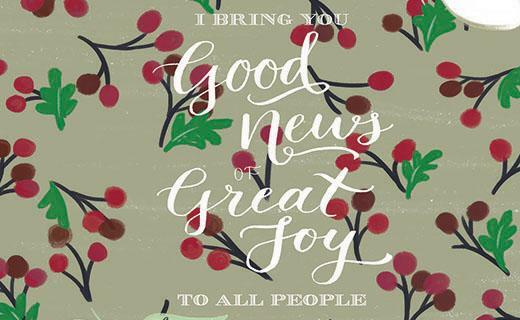 [Added 12/12/17] Compassion UK is giving away 25 Uplifting Bible Verses for Christmas Cards - beautiful Christmas Bible verse artwork you can share with friends or add to Christmas cards.